If you want to spend some cool and romantic moments with your loved one or to enjoy a honeymoon, consider visiting Kerala which is famous for its lush green jungles, romantic hillsides and unique backwaters. However, Kerala also has some wonderful beaches . With a long coastline bordering Arabian Sea, finding the best beach escape is no small task. We tried to pick top 10 beaches in Kerala from coast to coast for you to chill and have some fun with your family or loved ones. A peaceful, calm and silent beach ready to impress you with its deep silence. Kappad beach has a history event attached to it, that is, the great explorer Vasco Da Gama landed at this beach. This is the best beach to visit in Kerala for the people who like solitude and who would want to share some private talks in the isolation. Popular beach resorts in Kappad beach to visit are Kadavu Resort, Kappad beach resort and Marina Residency. Kannur is a warm water beach perfect for bathing in the sea. It's lesser known and hence not very crowded. The golden sun rays in the noon produce a beautiful and extraordinary view of ocean water. Popular beach resorts includes Mascot beach resort, Kannur beach house, Ocean Hues & Asokam Beach resort. With high and naughty waves, playing with the sandy beach lined with coconut palms and the broad blue sky, Marari beach is best to enjoy it while enjoying fun moments with your loved one and watching the broad view of the calm sea . It is peaceful, magical and an undisturbed environment and is very near to backwaters in Kerala and is a must visit if you are planning to add Kerala among the places to visit for your honeymoon. Famous beach resorts there are Marari beach resort, Carnoustie Ayurveda and Wellness resort and Mayas Beach House. Located near Kochi, Cherai beach is best to enjoy fishing in a calm evening. It is clean, peaceful and silent with a road running parallel to it and makes it perfect beach to hug and discuss with your sweetheart. Claim your slice of sand during low tide, when the receding ocean leaves small pools of water that are perfect for little ones to make a splash. 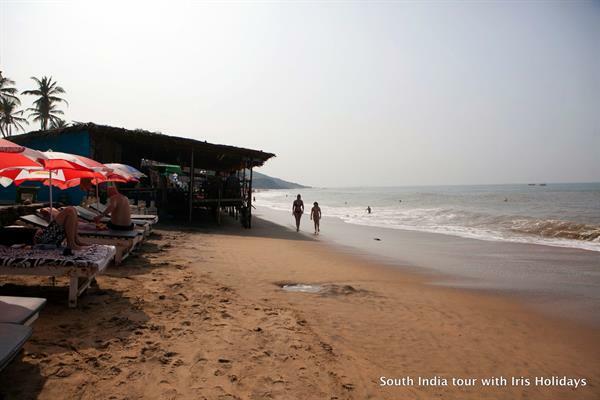 Cherai Beach has the famous beach resorts like Cherai Beach Resort and Blue Waters . Decorated by Coconut palms , a cliff that protects against cool sea breezes, spending an evening on the Varkala beach and watching the sunset is quite romantic and lovely. Varkala also has some serene seaside cliffs and thus included in one of the beautiful beaches in Kerala. Palm Tree heritage, the Gateway hotel and Akhil beach resort are the best beach resorts to stay here. Alappuzha can be called as 'All in one'. Besides backwaters which offer boat riding and it's one of the most visited beaches in Kerala. Watching boat races like Nehru Trophy Boat race is another great experience for visitors in Alappuzha Beach. Popular Beach resorts are Lemon tree, Vasundhara Sarovar Premiere, Punnamada resort, Darshan backwater resort and Alleppey beach resorts. Somatheeram beach is unique for all of the above beaches due to its tropical gardens and calmness. Soft and cool wind breezes add a magical touch to the pleasant weather. Seeratheeram is like a calm and silent beach careless of all the worries of outer worlds. The sound of splashing waves with the beach banks gave a pleasant effect to ears. Popular beach resorts are Somatheeram Ayurveda resort are Travancore heritage. With its white sand and exotic views, Bekal fort along with Bekal beach is an awesome place with its extraordinary looks and small rocky island adds some more romance to the amorous natural scenes. Chandragiri Fort and the Nityanandashram caves are the places worth exploring in Bekal beach and popular beach resorts are Vivanta by Taj, The Lalit resort and Spa, Bekal palace and Nirvana. A quiet beach away from crowded beaches – Payyoli beach is like a homeland for baby turtles. Watching baby turtles staying on the sand and some making their way into the sea really gives an exciting twist to the visit. Beach resorts at Payyoli beach are Park residency, Hotel King fort and Alkapuri hotel. These are the top 10 beaches in Kerala that you must not skip visiting.